Chia has taken the world by storm as the most popular superfood of 2012. An ancient grain, this seed packs a nutritional punch of Omega-3 fatty acids, antioxidants, and fiber. In fact, chia contains one of the highest levels of naturally occurring essential Omega-3 and Omega-6 fatty acids found in nature. Chia\Vie is a new drink out on the market that contains chia seeds. 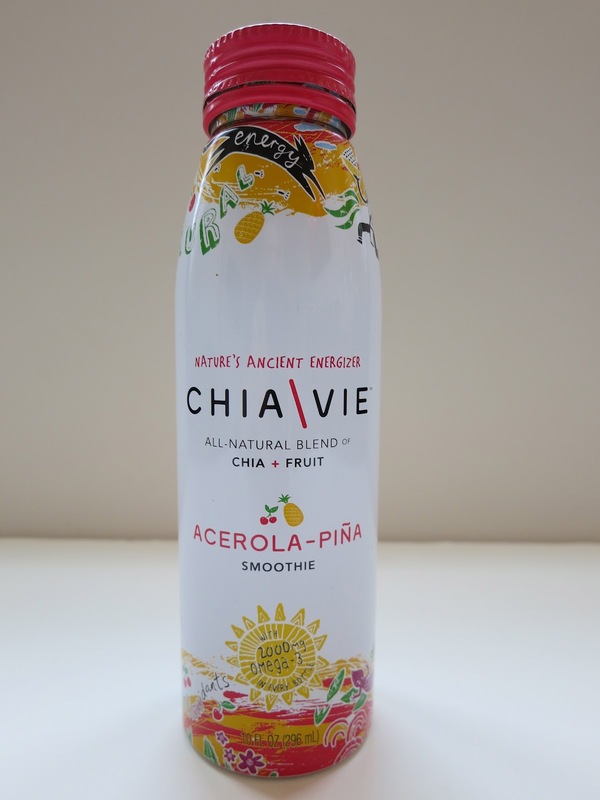 But, it isn't just any drink -- it is the world's first bottled chia smoothie. I've tried some other chia drinks and found I really didn't like drinking the gooey seeds. 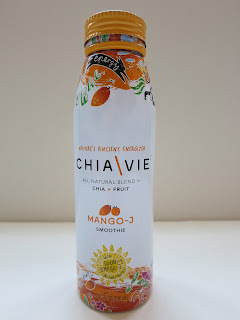 Chia\Vie provides the benefits of chia seeds without the gooeyness by grinding the chia seeds. I was pleasantly surprised to find that all three flavors had a great taste and smooth texture. They are a lot like a Naked-brand smoothie, but thinner, and with ground chia seeds. I found the Mango-J to be pretty good. It contains orange juice concentrate, mango puree, apple juice concentrate, and banana puree. The Acerola-Pina was a different flavor that I wasn't used to, but it just tasted like tropical orange juice. The acerola berry is also known as the Barbados cherry. It has 32 times as much vitamin C as orange juice giving this smoothie 240% of your RDA for vitamin C! The Banapple-Berry is made of banana, apple, blueberry, and blackberry puree. I found this one to be the lightest of the three and the one I'd choose to drink out and about as it wasn't as smoothie-tasting as the others. All of the drinks are about 160 calories and 3 grams of fat per bottle. 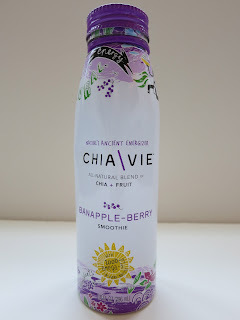 Chia\Vie has an interesting comparison chart of their drinks compared to Pom, Naked, Coke, and others. 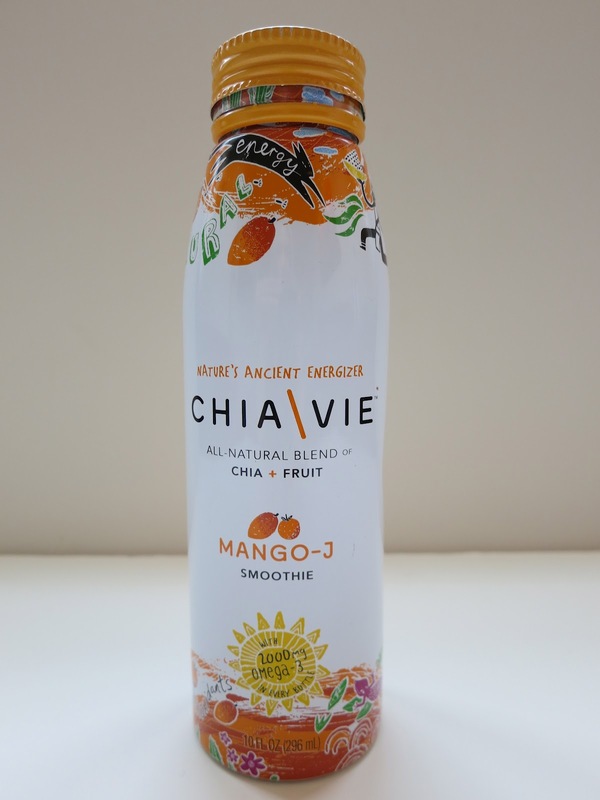 They claim they are the only drink to contain ALL of the following: the most omega-3s, the ideal omega-3 to omega-6 ratio, antioxidants, all natural ingredients, and fiber while also slowing digestion and helping to control cholesterol. I think these drinks are a great alternative to the sugary drinks on the market and even to some of the healthier drinks on the market. To see where they are sold or to shop online, click here. I feel the same way about chia seeds. So I grind them in my flax seed grinder. Thanks! I've always ground my flax seeds in a coffee bean grinder. I guess I could do the same with chia seeds.